Rapala has a new lure and concept coming out that might just change things in the lure industry called the Rapala Scatter Rap. 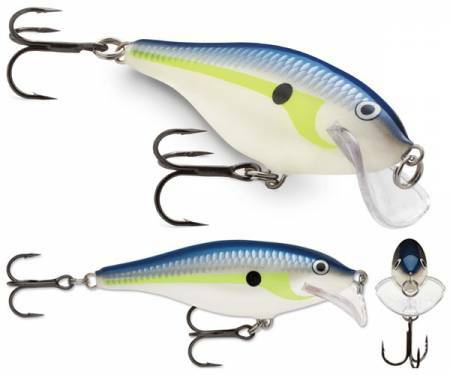 The Rapala Scatter Rap series of lures uses a new unique lip called the scatter lip. The Scatter lip is designed for Evasive and erratic swimming action according to their website. I cant wait to get my hands on a few to try them out. The Scatter Rap series will come in four different models, the Crank, Shad, Minnow and Countdown. If you know Rapala, you know these models. Check them out here.